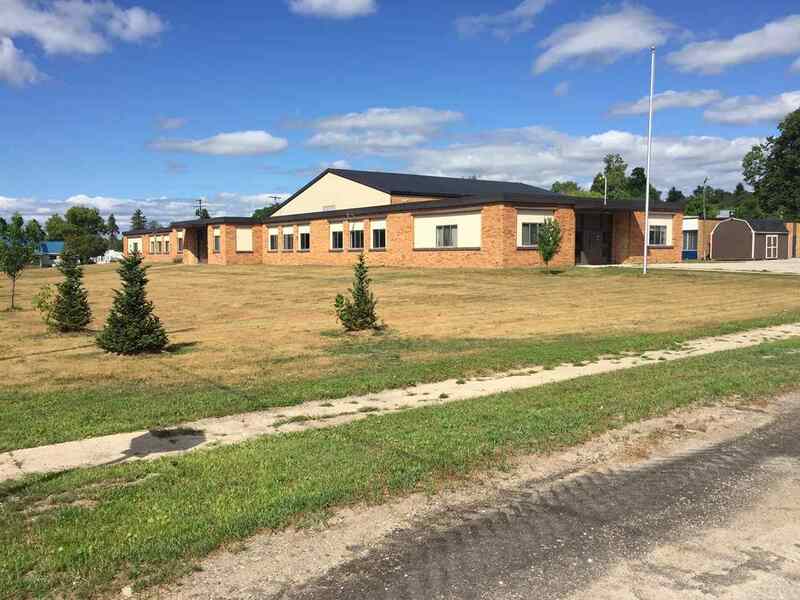 2329 Center Street, Boyne Falls, MI.| MLS# 456110 | Commercial Real Estate in Petoskey, Emmet County MI. Petoskey Homes for Sale, Property Search in Petoskey. School building developed in 3 time periods. Two lots, on is 300X300 and the one across st. is 142X300. Interior Sq Ft appx. 37,500, 19 classrooms, 6 offices, 2 locker rooms, 10 bathrooms, 1 gym, 1 kitchen, 1 cafeteria, 3 multi-purpose rooms, 2 custodial closets and 1 boiler room. Served by village municipal water system and on-site septic tank farm. Window replacements in 2000. (2) high-efficiency natural gas boilers installed in 2009. Gym lighting replaced last year..